The Importance of Establishing a Partnership with a Language Service Company (LSC) - Niki's Int'l Ltd. In 2013, 61.6 million people living in the United States, US and foreign born, spoke languages other than English at home. In 2015, that increased to 64.7 million people. Most of these individuals spoke English as well, however at least 25.1 million were considered to have a limited English proficiency (LEP). The United States is a rapidly growing melting pot of cultures, languages, and diversity. Businesses in every industry are coming to realize that neglecting this sizable influx of non-English speaking individuals can have your business reaping serious consequences. Poor translation and interpretation can diminish the reputation of a company, reduce sales, muddy legal matters or even cause injury or death in medical settings. Providing language services from a professional language service company (LSC) is the only way to ensure language barriers are bridged with competency and accuracy. A LSC provides various language services such as translation, interpretation, localization and transcreation to many businesses, organizations and facilities across the United States. Professional LSC’s provide qualified and experienced linguists who have obtained the skills and knowledge needed to accurately provide translation and interpretation services. Access to interpreters and translators available in over 350 languages and dialects. Through on-demand language services such as over-the-phone interpretation (OPI) as well as video remote interpreting (VRI), finding the language and dialect you need regardless of your location will never be a concern. Increased sales and LEP customer satisfaction. Cost savings through increased efficiency and accuracy. Obtaining services from a LSC helps to reduce stress associated with language barriers. Partnering with a LSC aids in eliminating room for costly and sometimes dangerous errors that can occur when language barriers are present. Language barriers are often viewed as roadblocks, but if handled with the aid of a professional LSC by your side, providing services and care to LEP individuals can be accomplished with ease. The best way to combat the negative effects associated with language barriers is to hire a LSC in order to gain access to professional linguists. Working with a LSC can ensure cultural or linguistic misunderstandings do not stand in the way of interaction with LEP individuals. Having a good professional relationship with a reputable LSC is key in helping run a business that interact with LEP customers or clients. 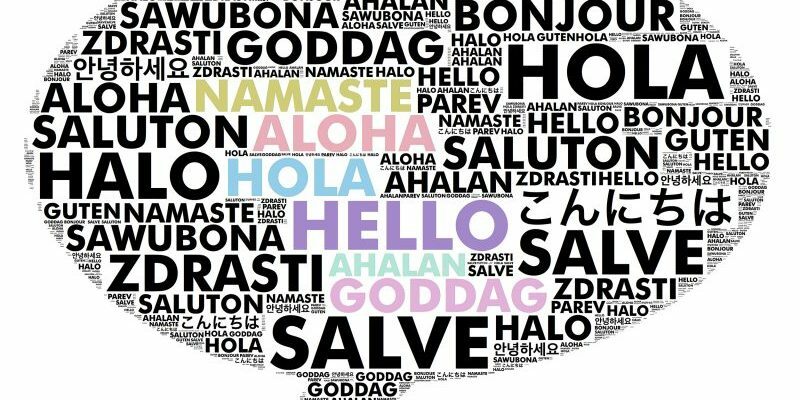 When a business has a language partner they can trust, they are able to focus on other aspects of their business, as opposed to dealing with the stress, frustration and strain on communication that language barriers cause. A good LSC will not only provide interpreters and translators but they will also educate, guide, partner, coach and manage your language service needs. Niki’s Int’l Ltd. is a LSC with over 20 years experience in the language service industry. A partnership with Niki’s Int’l Ltd. can gain you access to a network of qualified translators and interpreters available in over 350 language and dialects. They offer on-demand services through over-the-phone interpretation (OPI) as well as video remote interpreting (VRI), which can accommodate sign language interpretation. Partnering with Niki’s Int’l Ltd. can create the potential for new revenue, expansion of business, stress reduction, accuracy in communication as well as aid in caring for LEP patients. As the world evolves, ways of doing business will evolve to accommodate the change, partnering with a LSC is the best way to stay ahead of the curve as diversity continues to enrich American soil.